hand-made reversible cat bags for 2800 yen! 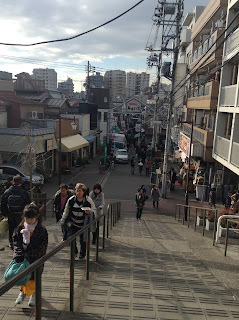 Yanaka Ginza 谷中銀座 is really close to Nippori Station but we walked from Ueno Station past the cemetery which also didn't take too long. 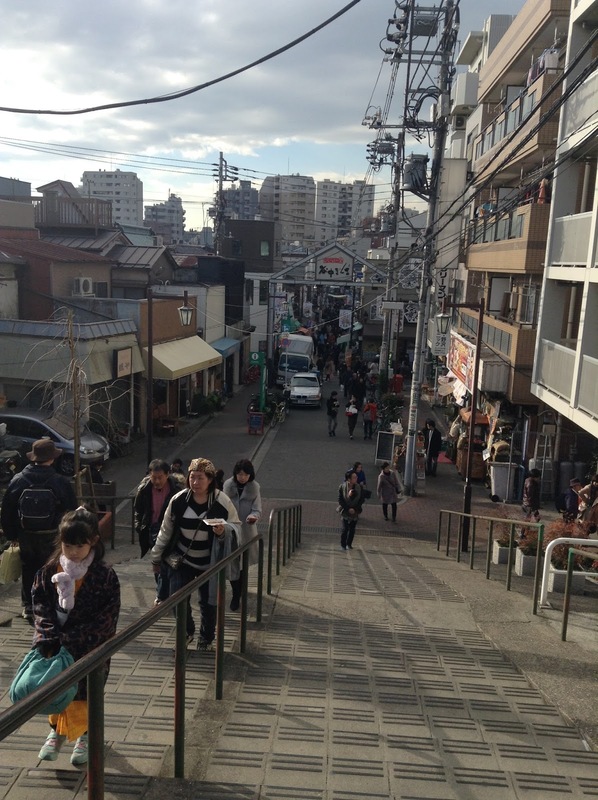 It's one of those shitamachi 下町 areas that some people mistakenly translate as "downtown" but it's more like the old area with local stores and such. 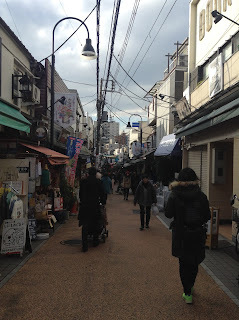 It's a very short shopping street so it doesn't take long to walk around. 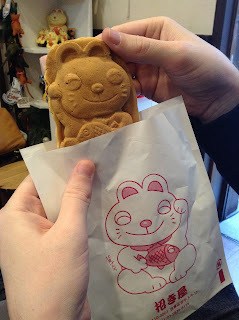 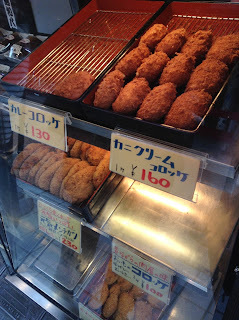 Fried stuff seems to be popular here! 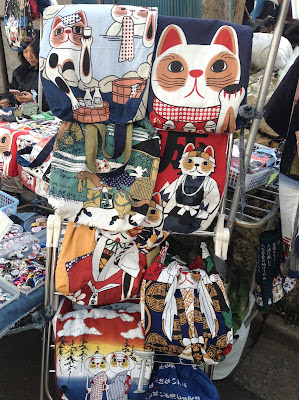 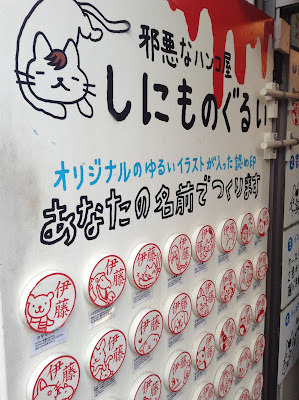 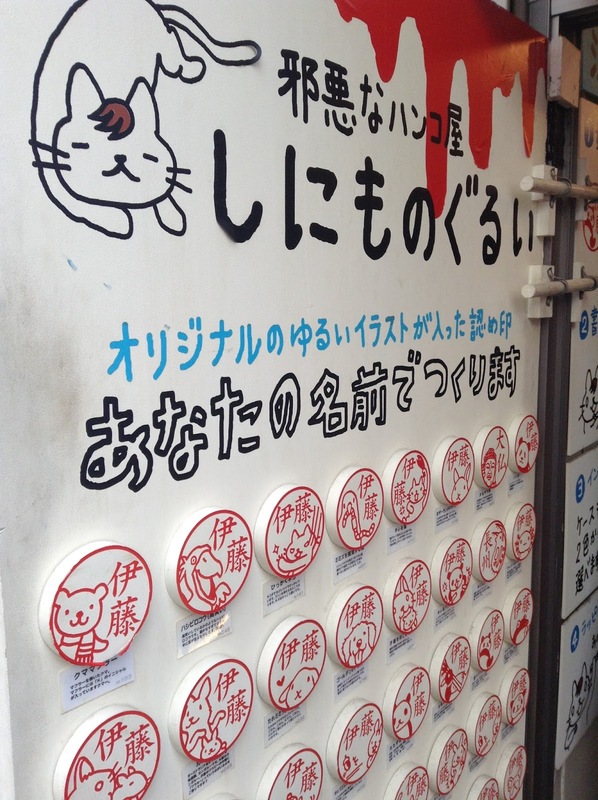 Check out the cute shops, many of which sell unique cat-related items!